The fighting qualities of Striking Lago ($4.80 on TAB fixed odds) were on display last start and he will need to show the same characteristics to win at Goulburn on Monday. The chestnut with the eye-catching white blaze was challenged twice in the final 300 metres of his win at Nowra and fought back tenaciously. Striking Lago rises in the weights by 2kg to 60kg for the Benchmark 55 (1600m) and will again oppose Beyond Brave ($8.50) which finished second to him last start. Trainer Aaron Clarke has had a three-week period he won’t forget any time soon with Striking Lago featuring in his hot streak. Clarke trained four straight winners during this time including his first metropolitan success with Romance Can Costa while Sheoak and Exceptional Rhythm were also successful. The Braidwood trainer has always had a strong opinion of Striking Lago who has won four of his 25 starts and earned almost $60,000. 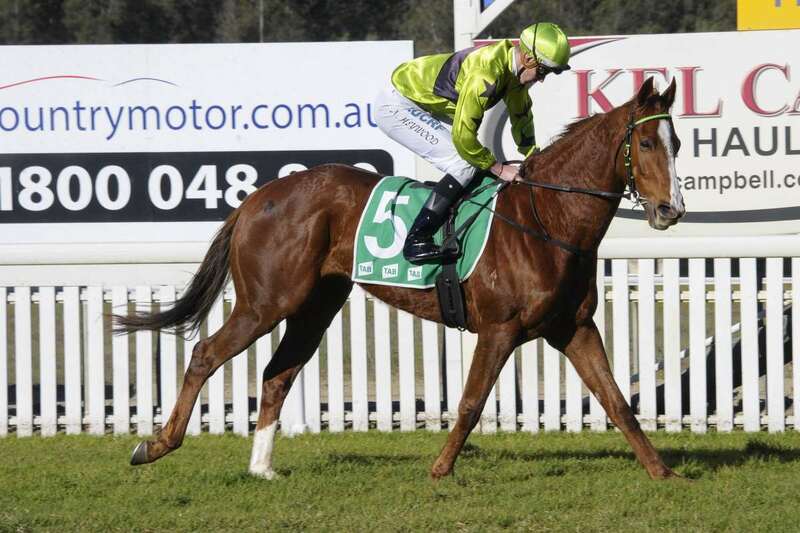 “It’s a stronger race, he goes up in the weights, and is back on a good surface from the heavy track at Nowra,” Clarke said. Striking Lago is one of three last start winners in the race along with Lady Mironton ($4) and Oscar Cranach ($6.50). Lady Mironton broke through for her first victory at Gundagai, while Oscar Cranach won on debut at big odds at Wagga. The Goulburn track is rated a Good 3 for the club’s final meeting of the season.